Heading to the Drouin Lights Up festival on 1 December? 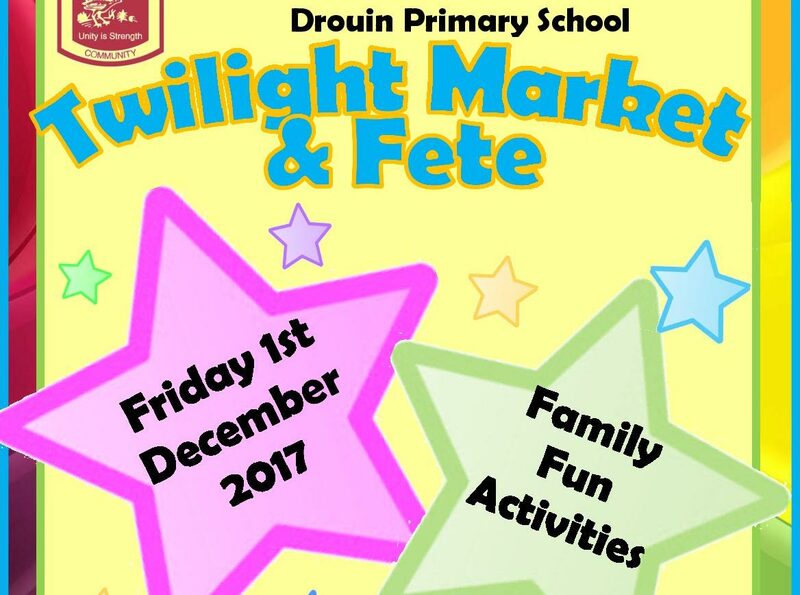 Drop by the Drouin Primary School Twilight Market & Fete while you’re out! The market will run from 4pm to 8pm with 74 stalls. Stalls will include food vendors, jumping castles, dunking machine, and show bags. 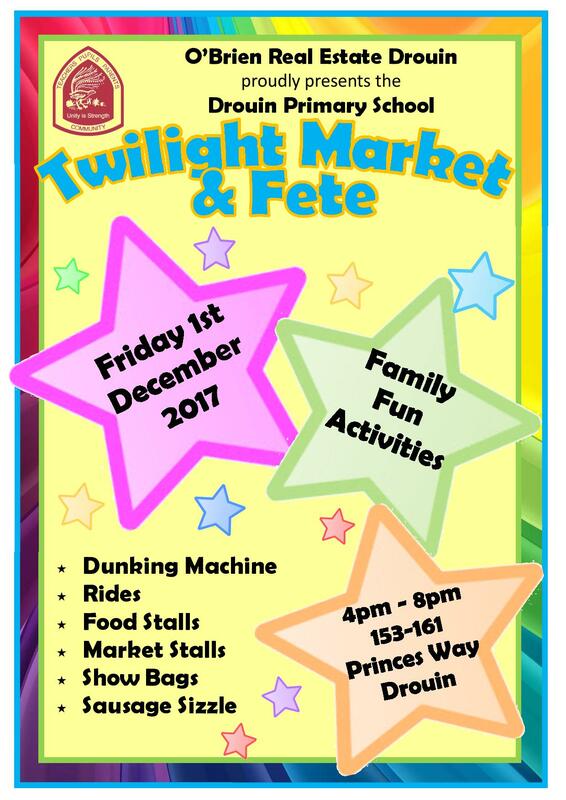 There will also be rides and other market stalls.